This non woven budget beach mat is made up of 80 grams of non woven coated water resistant polypropylene. Our non woven budget beach mats also come with a snap closure for safe storage and 11.5" carrying handles. 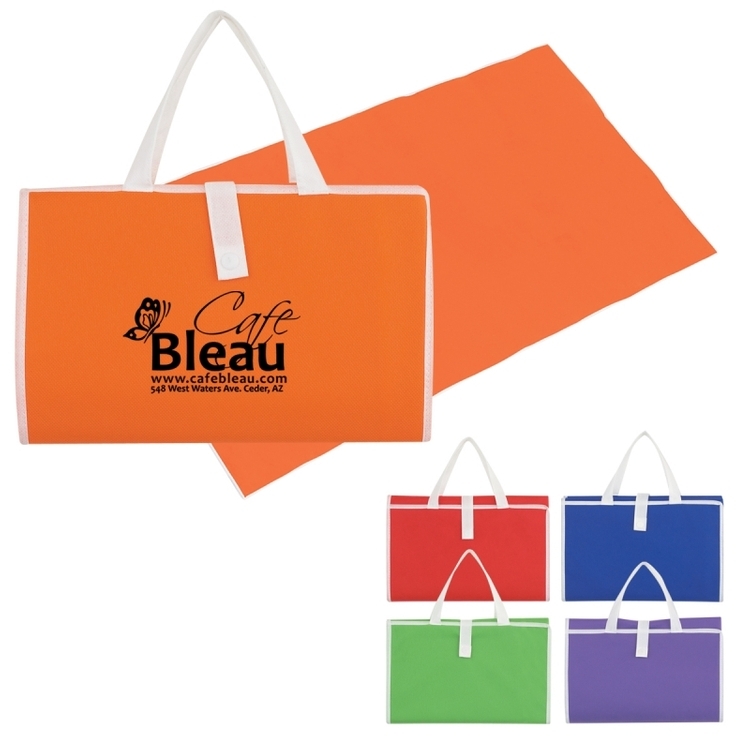 These non woven budget beach mats easily fold into a handy carrying case. Give your clients a great non woven beach mat for a fun day at the beach or pool.